Huge Physics News: Neutron-Proton Mass Difference Found! Our entire universe, from the tiniest atoms, to the structure of our experiential world, to the most massive galaxy clusters and the cosmic web, is dependent on a set of single properties, where small changes to these fundamental numbers would lead to a state where none of it could exist. Understanding these fundamental numbers is the key to unlocking the deepest secrets of the universe and answering the biggest questions of our existence. One of these numbers is the tiny difference in the masses of the proton and neutron. If it varied even a little bit in either direction, we could have a universe with too many neutrons, too few heavy elements, or not enough Hydrogen to get things going. Finding this number’s exact value is a big piece of validating current theories of particle physics. It has been over Eighty years since the 1932 discovery of the Neutron by Chadwick, and after all this time, we finally have a precise calculation of the proton-neutron mass difference. A team of physicists from France, Germany, and Hungary headed by Zoltán Fodor, a researcher from Wuppertal, used one of the most powerful supercomputers in the world, JUQUEEN at Forschungszentrum Jülich. The calculation confirms what we call the theory of the strong interaction, which is a fundamental force responsible for holding the nuclei of atoms together. 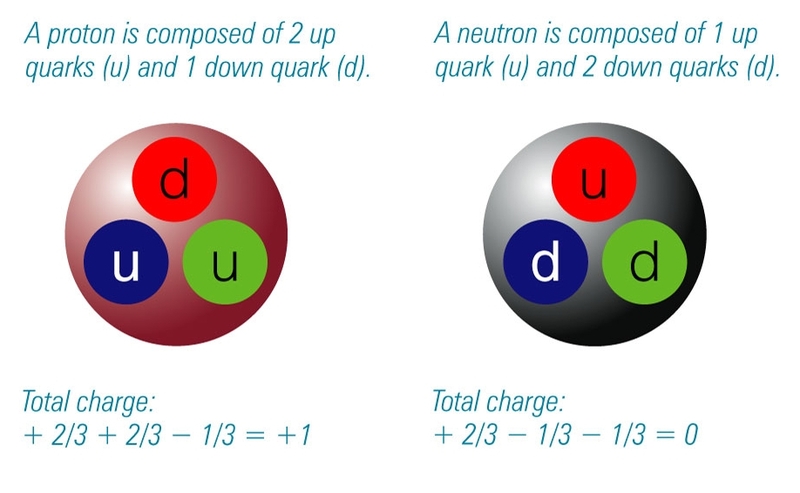 In the time since Chadwick’s discovery, we have learned of a smaller set of particles called Quarks, that make up, among others, particles such as the proton and neutron. Supercomputers have spent years showing that the masses of the proton and neutron are a result of the energy carries by their constituent quarks, following Einstein’s equation E=mc2. A small contribution from the electromagnetic field of the charged proton should make it a little bit heavier, yet it has been observed that the neutron is slightly heavier in nature, meaning the quarks that compose them have different masses. At the particle level, simulations are immensely important, as it is very hard to test ideas of particle physics experimentally. The theory and simulations predict what our results should be and what effects we should see in experiments, and by using giant particle accelerators such as the Large Hadron Collider, we can confirm these theories and solidify our understanding of the smallest constituents of our vast universe. PrevOne Year Mission on the ISS Begins!NextWhy is Mercury so Dark?